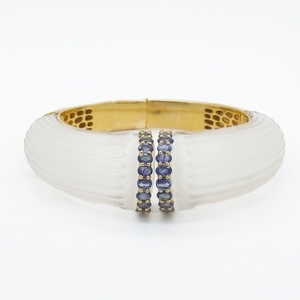 Crystal And Sapphire Hinged Cuff Bracelet Reliable Gold Ltd. 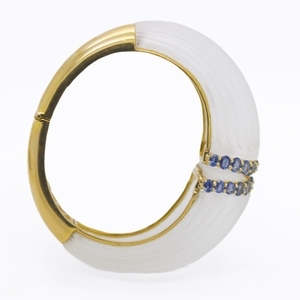 Spectacular hinged cuff bracelet is composed of graduated frosted crystal (approximately 198.20 carats total weight) with oval sapphire edges (approximately 7.91 carats total weight) and set in 14K yellow gold. 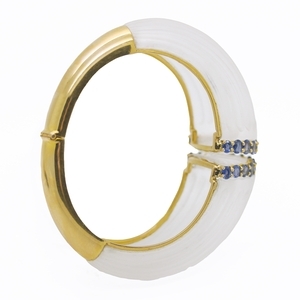 Amazing and unique!